Updated January 15, 2010: I spend a lot more time than I should eating out, cooking, photographing, and writing about it for this blog. I love sharing my food finds and creations with all of you. However, that does not give you the right to steal my images or words. All photos and text on Wandering Chopsticks are protected under the 1998 United States Digital Millennium Copyright Act. You do NOT have permission to reprint my photos or text without my permission. You may republish parts of my text or photos, provided you adhere to the following copyright and attribution requirements below. Don't steal my content. It makes me angry, and when I get angry, I do this. All text and photos Copyright © 2006-2010 by Wandering Chopsticks. All rights reserved. You may not copy my photos or text without my permission. You may not use my content for commercial purposes. If you wish to reprint any part of this blog, you must observe the following Copyright and Attribution Requirements. Thank you! For photographs: If you reprint a photograph from Wandering Chopsticks, you must state, "Photo by Wandering Chopsticks." This must appear either directly above or below the photograph, and must be in the same size font as the rest of your text. You must also provide a working clickable link back to the post in which the photograph appeared. You also are not allowed to cut out my watermark. For recipes: If you are using my exact recipe, you do NOT have permission to reprint it on your blog. You may include the list of ingredients, but then you must write the directions in your own words and provide a working clickable link back to that post on Wandering Chopsticks. Example: "Recipe from Wandering Chopsticks"
On linking back: All links back must be working clickable links directly to the exact blog post or the Wandering Chopsticks main page. 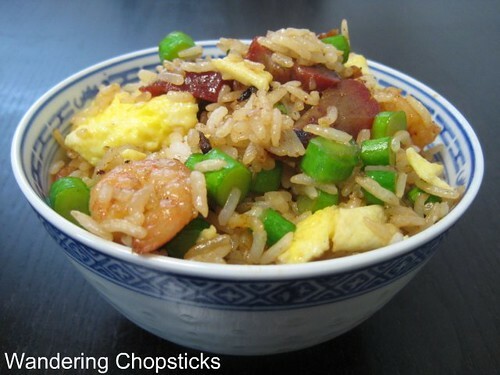 Example: Wandering Chopsticks not just typing out http://wanderingchopsticks.blogspot.com For text: If you quote any part of Wandering Chopsticks, you need to place quotes or highlight the copied text in such a way as to make it clear that the quoted portion is NOT yours. You must also include the title of the post you're quoting, state "By or From Wandering Chopsticks," and provide a working clickable link back to the original post you're citing. Example: From "Coq au Vin (French Chicken with Wine): the French Meal I Wished I Had," by Wandering Chopsticks, "He sends me an email in French a month later telling me how he'll always treasure the memories of our walk in Paris. He closes with a phrase that my fluent French-speaking friend insists isn't to be taken literally. But it's oh so lovely, that I choose to take the meaning as such. "Je t'embrasse tendrement partout et surtout avec délicatesse,"which according to worldlingo.com means "I tenderly kiss you everywhere and especially with delicacy."" You may not alter, transform, or build upon this work. You may re-size but you may not crop or edit my photos. You may not remove my watermark. If you choose to republish my photos, you must host them on your own server. If you're unclear about any of this, please email me first at wanderingchopsticks [at] gmail [dot] com . Hullo. Quite good terms and conditions. May I suggest adding to the bit about photos, that you include requirements that photos may be resized but not be edited and that photos be hosted by the blog or other post that is using them, and not referenced back to the photo on your server. Thanks for the excellent suggestions. I'll make those changes. I wanted to share the beauty of Vietnamese cooking / food... May I share a link to your specific dishes with a link on my facebook? Of course! No need to ask permission to link to something you like. It's just the people stealing my content that I hate. Links are much appreciated.